The Upper West Side is New York's latest school-integration battleground. 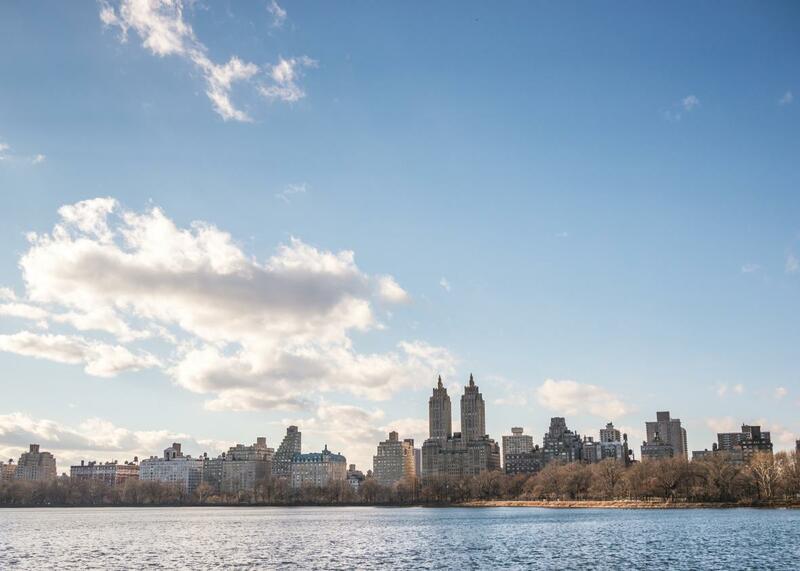 One Upper West Side school site is conveniently close to Central Park. Another is close to public housing projects. New York City has an integration problem. This is nothing new, of course; the supposedly most diverse city in the world has long had some of the most segregated schools in the country, and that’s saying something. In recent months, the city’s battle over school segregation has played out in a few specific schools in some of the its fastest-gentrifying (or already gentrified-to-saturation-point) neighborhoods: Nikole Hannah-Jones chronicled the Brooklyn version of the saga in her much-discussed New York Times Magazine piece last weekend, “Choosing a School for My Daughter in a Segregated City,” about her decision to send her black daughter to a mostly minority school, only to have that school rezoned to include an affluent, predominantly white population. The Upper West Side is another place where the “rights” of rich parents are being pitted against the reality of the neighborhood’s demographics. The current battleground is the sought-after P.S. 452 on West 77th Street, a stone’s throw from the Museum of Natural History. Like so many public schools in New York City, P.S. 452 has a lopsided enrollment, with a population that’s three-quarters white and Asian, with only 13 percent of kids qualifying for free lunch, in a district that’s 43 percent white and Asian and 48 percent low-income, according to a Chalkbeat story on the brewing controversy. P.S. 452, which opened in 2010 to relieve overcrowding in other nearby sought-after schools, quickly became overcrowded itself. And so the city proposed moving the school, which currently shares a building with two other schools, 16 blocks south, to a site with more space that happens to be just adjacent to large housing projects. In one swoop, the city could solve the school’s capacity problem while improving its diversity. But of course, in an as-if-scripted repetition of the integration fights that have gone down since the birth of busing, many current P.S. 452 parents are up in arms against the proposal. After all, didn’t they buy their expensive Upper West Side domiciles precisely for the right to attend this fabulously high-performing school? That, at least, is the argument getting the most airtime. Fariña’s line about forcing integration down people’s throats is almost laughable, for what else is the whole history of integration in this country but one of force-feeding, often in the form of landmark Supreme Court decisions? One P.S. 452 parent speaking out against the move is comedian and former Daily Show correspondent Jason Jones, who’s married to Samantha Bee. “To portray any opposition as classist or racist is as bad as it can get,” Jones told WNYC. And elsewhere: “We are not divided,” he said at a public hearing about the proposal, “we are absolutely united in wanting what’s best for our children,” then encouraged fellow parents not to talk to the press about the controversy. So what’s going to happen? If precedent is any guide, the well-organized—and well-heeled—parents of P.S. 452 will likely win the day. Last year, a similar drama went down in the neighborhood when the city proposed changing the attendance zones so that some of the kids at the overcrowded (and also mostly white and middle-class) P.S. 199 would be reassigned to the under-enrolled (and also mostly minority and poor) P.S. 191. An uproar ensued, and the city eventually tabled the rezoning plans, proposing instead a labyrinthine solution that lands P.S. 452 in the building that currently houses P.S. 191. Now that P.S. 452 parents have rejected this compromise, what’s the city going to come up with next?